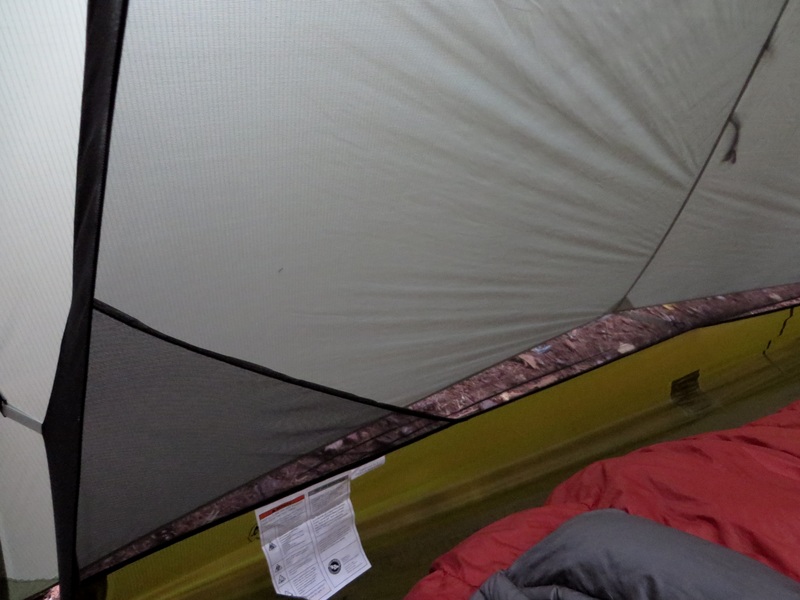 The Big Agnes Seedhouse series of tents is designed for the minimalist backpacker. Simplicity, light weight, and durability are the focus, removing non-essentials like multiple doors, top vents, and gear lofts to provide a light weight reliable structure. The seedhouse 3 weighs only 4 lb, despite providing 44 square feet of living space. A single door accessible via the head of the tent allows for passage and gear storage under the vestibule. 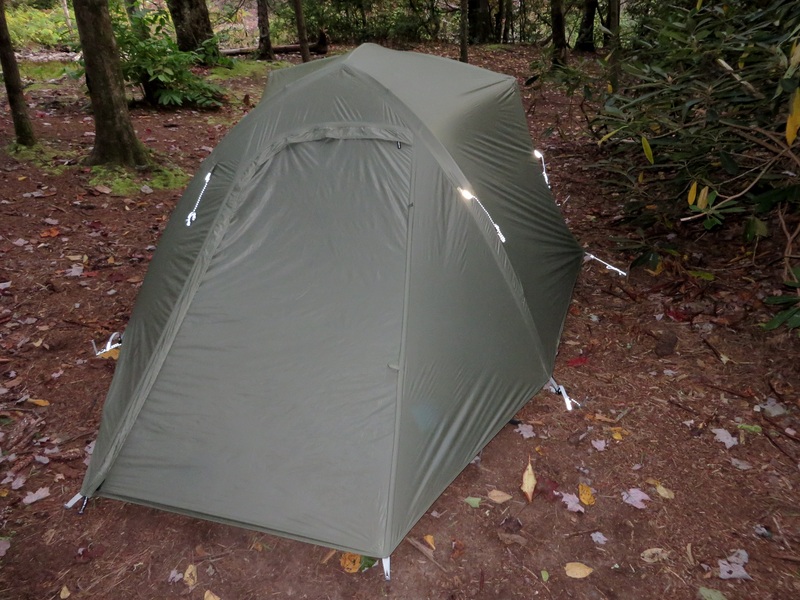 The tent is a double wall, super light weight tent built from DAC Featherlight NSL poles and light weight rip-stop nylon paired with a full mesh body. A cross bar increases internal living space and creates a more vertical wall to improve livability. The tent is pitched by clipping the poles into the body using ball sockets, and the tent body is lifted up to the poles and attached via clips. 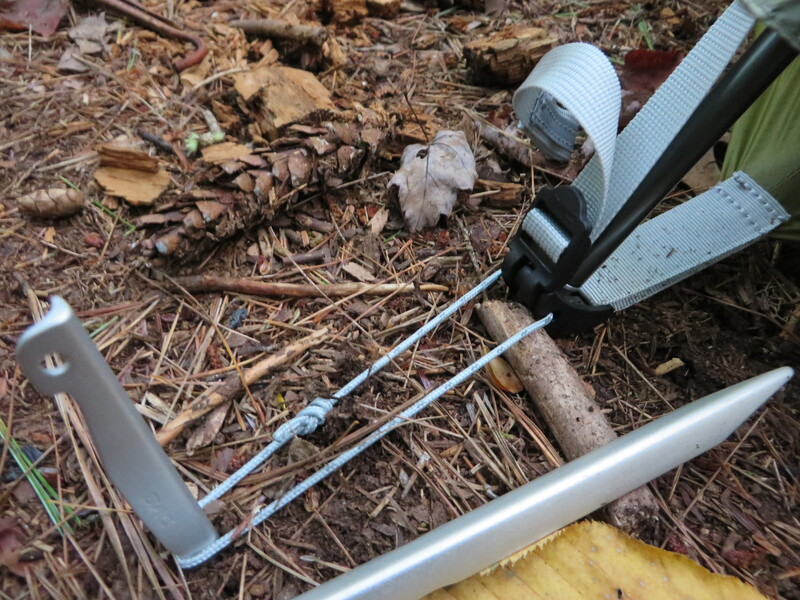 The outer wall (rain fly) connects to the tent body at the four corners by hooked shaped connectors(below). Included J-stakes are built from strong, light weight aluminum. The tent retails for $399.95 and holds 3 campers. The Seed House series is known for reliability, and the SL3 is no exception. The sturdy pole system and body will resists strong winds, and the sleek design built from coated nylon sheds the rain. The Seedhouse has withstood torrential downpours that lasted for days on end, without so much as a droplet of water making it’s way inside. The fly pitches taut, resulting in no flapping or sagging during drawn out storms. The tent is incredibly light weight for a 3 man shelter. At 4 pounds, a single person can easily carry it alone, or it can be broken up into sections and carried as a group for feathery light packs. 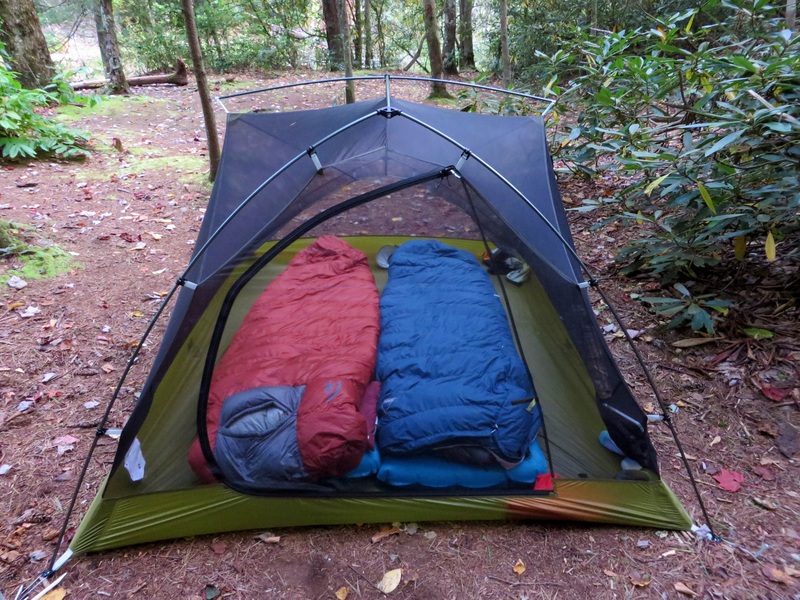 It makes a cozy 3 man shelter, a spacious backcountry retreat for 2, or a palace for 1. At only 4 pounds, I’ve used solo shelters that weighed more. A large front door allows easy entry and exit, and plenty of storage for gear under the large vestibule. With two people, you can store all of your gear to either side of the vestibule and pass through the middle without hassle. The full mesh body allows for plenty of ventilation, and unobstructed star gazing when the weather permits. The tent walls stake out far from the mesh body, enhancing air flow. Condensation was minimal on humid nights when partially unzipping the upper side of the door like an air vent. At the mid point of the side of the tent, the fly connects to the body via small clips, which you can then pull out and stake away from the tent, adding a little bit more room inside the tent. Even with 3 people inside, each individual has a little bit of wiggle room, and there is plenty of head room in the event that everyone wants to sit up and socialize. The loops inside make great mounts for the BA media center loft for backcountry movie watching on those cold or rainy nights. Build quality is great, with quality stitch work and solid materials used all around. The tent pitches taut, and the high quality DAC tent stakes are durable and hold firm in even the worst of soils. The tent pitches very easily, and a single person can easily set up the shelter with no help at all. Reaching for the far zipper on the vestibule is a bit of a stretch. 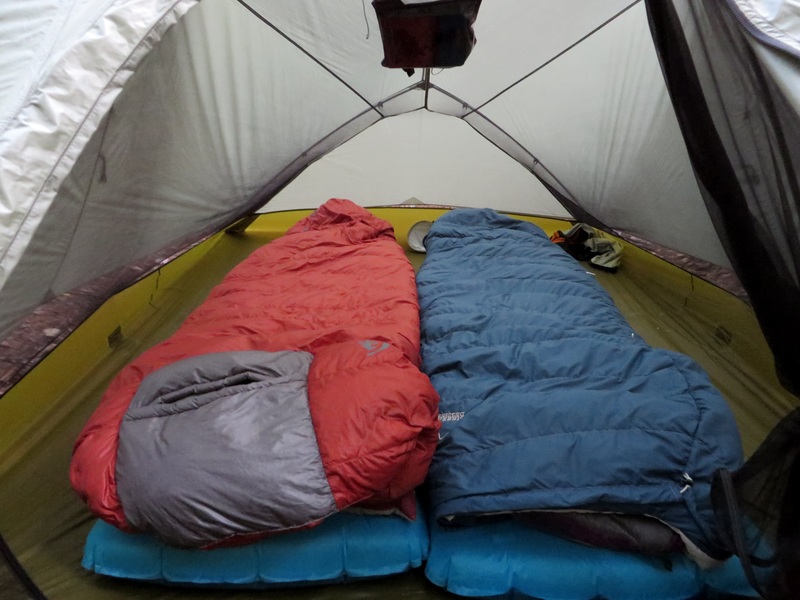 When using the door in the rain, the positioning will allow some rain to fall into the tent and onto your gear. A rainstorm will also limit your ability to partially unzip the top end of the rain fly door for ventilation, due to rain being able to pour in, which will somewhat increase the condensation. An added top vent would have been a nice addition that would help minimize condensation build up. Having 3 people inside with lots of gear will often require the full use of the vestibule, which will create the need to crawl over equipment when entering and exiting the tent. Lightweight materials will require some TLC, as always. 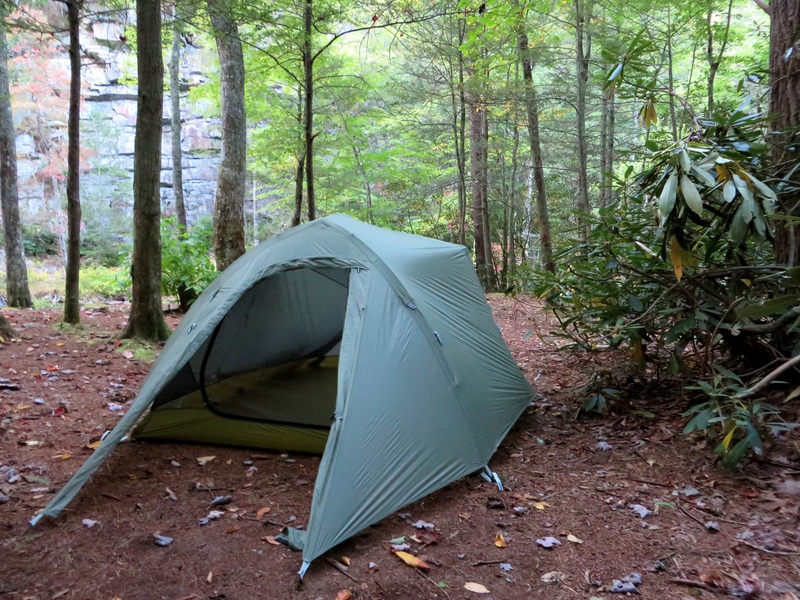 The Seedhouse SL3 is everything a minimalist shelter should be. It’s roomy, light weight, sturdy in the elements, and provides plenty of storage. Condensation management is good, even in humid conditions. 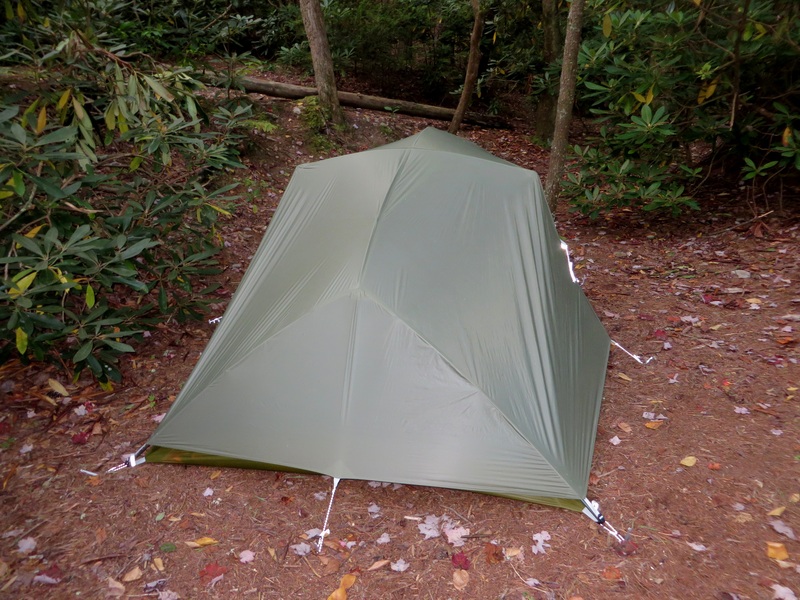 Furthermore, the tent is so light weight that it allows for the shelter to be used solo, tandem, or with 3 campers dividing the weight between them. That’s a great amount of flexibility for those who sometimes camp with others, but also want something light enough to use when they go it alone. Take care of the thin materials, carefully store your equipment, and you’ll have a comfy shelter that provides a huge amount of flexibility, without wearing out your back. One of my new favorite shelters. thanks for the review, I wanted to ask , resisting the winds , I mean if put up with 70 km / h .
Hi there. Thanks for reading! If you’re planning on 70 km/h winds, you’re going to need to look for an expedition/4 season tent. 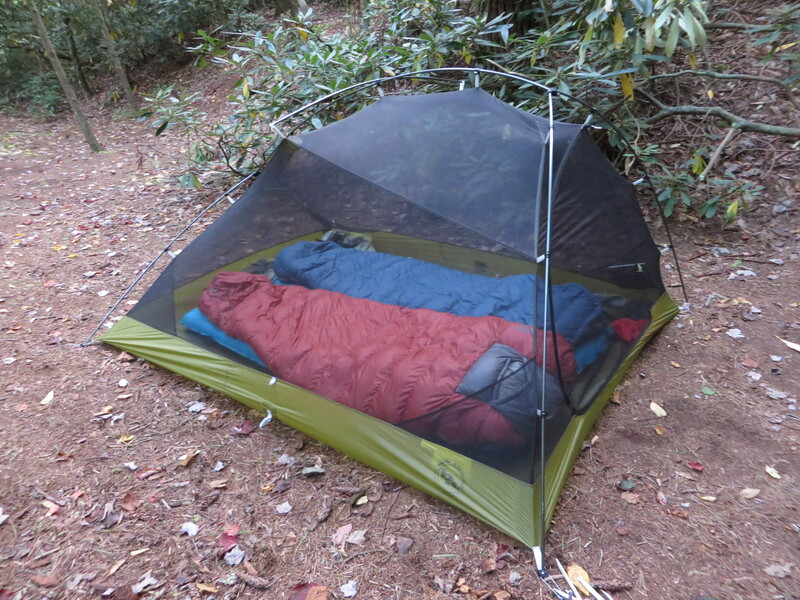 No backpacking tent, especially an ultralight, will reliably take those kinds of winds. They’re simply not designed for it. Those are incredibly strong winds (enough to move a human body). You might consider the Big Agnes Battle Mountain. It’s heavy and expensive, but it should be able to take that kind of abuse.